Loner Bridge is a base station that communicates with multiple worker-worn Loner 900/ G7X safety operates through a 900 MHz radio link. Providing dual-mode satellite and cellular backhaul communications to Blackline infrastructure, Loner Bridge automatically and seamlessly use its satellite network when outside of cellular coverage. Self powered and portable, users are able to quickly move Loner Bridge from one vehicle to another, such as from an all-terrain vehicle to a work truck. Unlike many competitive solutions, Loner 900/ G7X coupled with Loner Bridge operates inside buildings when using cellular or satellite communication. Loner 900 or G7X Series System goes where no other safety monitoring technology has gone before. 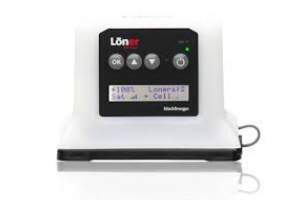 Loner 900/ G7X Series is a person-worn device that transmits user safety information to the highly portable Loner Bridge device using 900MHz transmission. Loner Bridge transmits all data to Blackline’s monitoring infrastructure via cellular data or satellite data up-link (when located outside of cell coverage) and also provides real-time vehicle tracking if mounted on a vehicle. Each Loner Bridge can operate with up to 5 Loner 900/ G7X devices simultaneously.